If you need any kind of help with a professional removal in Perivale, no matter whether it is domestic or commercial, big or small, you are the right people to call. We specialize in emergency relocations, so if you need to get your home or office moved as quickly as possible, count on us to take care of it. Naturally, this doesn’t mean you cannot book our services two weeks ahead or for next month. The key concept around which our company’s ethics revolve is that our customers’ satisfaction and comfort always come first. Our licensed technicians have successfully carried out thousands of removals in Perivale and the rest of the Greater London arae. They know every little trick of the business. The skills and extensive experience they possess enable them to always come up with the best solution to the relocations they have been hired to do. 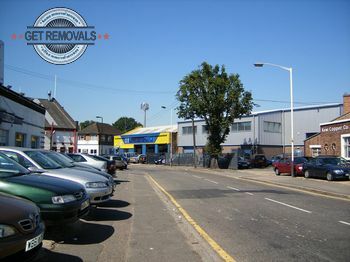 One of the best prepared and equipped teams of professional moving technicians currently available in Perivale. A huge fleet of modern up to date vehicles that are very clean and one hundred percent safe. Combined with our impeccable packing methods and materials, it is guaranteed that your items will not sustain even the slightest damage during their transportation. A comprehensive list of services that cover all your potential needs. Your home or office needs to be entirely relocated? You are looking for single item pickup and delivery, storage, packing or rubbish removal services? We are the right people for you. A specially tailored custom pricing system which enables us to work on some of the most competitive prices to be found anywhere in the district. If you want your relocation in, from or across Perivale to go on smoothly and without any hassle, stress or strain whatsoever, you need to do one simple thing. Call our around the clock customer support team and book our services. You are going to get a free quote upon contact, so you know the price of your project in advance. Perivale is a small community suburb in Ealing. Due to the long history that the area can be proud of, the architecture of Perivale today represents a curios mix of all ages and styles. The Art Deco Hoover Building is located there, and just several streets away stands the 12th century St. Mary’s church. The River Brent goes through Perivale, and the largest open green space that can be accessed from the district is the Perivale Wood, which has the status of a Site of Metropolitan Importance for Nature Conservation. Antony Trollope’s novel The Belton Estate is set in Perivale. The area is also mentioned in the Doctor Who series. Among the notable residents, past and present, whose names are related to Perivale, are the guitarist for Suede Richard Oakes, snooker player and commentator Neal Foulds, Mungo Jerry’s bassist Mike Cole, writer Derek Marlowe and many others.